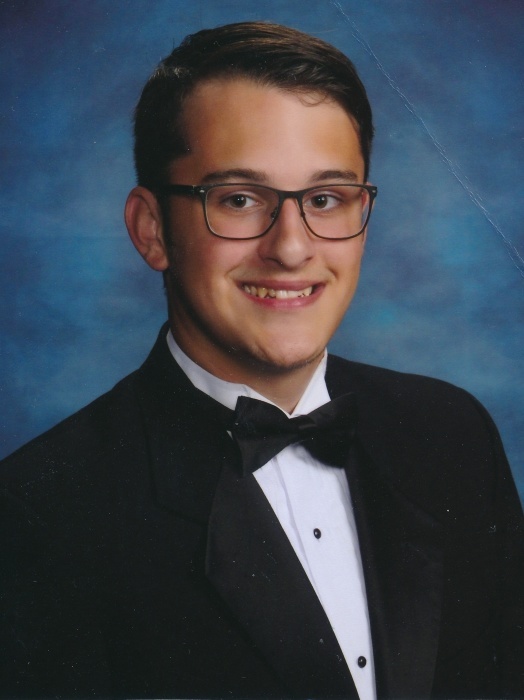 Spencer Allen Watson, 20, of Jacksonville formerly of Dunn passed away on Wednesday, January 16, 2019. Spencer's memorial service will be held on Monday, January 21, 2019, at 1:00 p.m. at the West & Dunn Funeral Home Chapel in Benson. The Rev. Rick Kelly will be officiating the service. The family will receive friends after the memorial service. Spencer's survivors include his father, Brian K. Watson of Dunn; his mother, Shannon DeBose Snipes and husband Patrick of Clayton; special sister, Mattie Schenning; stepbrother, Andrew Snipes; stepsister, Emma Snipes; maternal grandmother, Sandi Schneider of Fuquay Varina; paternal grandparents, George & Wanda Kay McLamb of Benson; aunts, Kim Eudy & husband Mike of Hurdle Mills and Krista Walker & husband Bradley of Coats; uncles, Brad DeBose & wife Eva of West Lake Village,Ca., Jimmy Schneider & wife Joy of Cary and Jeff Lucas of Dunn. Spencer was preceded in death by his grandfathers, Arthur Wayne DeBose, Jerry R. Schneider and Larry Watson. In lieu of flowers donations may be made to West & Dunn Funeral Home to help defray funeral expenses or Brain Behavior Research Foundation 747 Third Ave. 33rd Floor New York, NY 10017. Services have been entrusted to West & Dunn Funeral Home of Benson, North Carolina.